Our interdisciplinary Evaluation program is founded upon a "WHOLE-CHILD/WHOLE-BRAIN" framework. Communication with family, health, allied health and education disciplines is important so as to promote a child's success at home, school and beyond. Advances in technology and Brain-Behavior research and practice have provided an increased understanding of child brain organization, development and learning. Children's ability to attend to their world, hold information in memory, develop emotions and control mood, move, speak, think, execute, plan and accomplish their goals, self-direct and relate with others depends on both internal/biological and external/environmental help. Together, healthy biology and healthy environment create a very dynamic process toward promoting children's development, learning and well-being. Neuropsychological evaluation and treatment at our Center are based upon Systems Biology Theory. This means that the brain is understood as a complex and dynamic SYSTEM. The brain is not just an assembly of interconnections of genes, proteins, structure, chemicals and electrical activity. Understanding these components is very important, yet not sufficient enough to understand the complexity of the brain and human development. 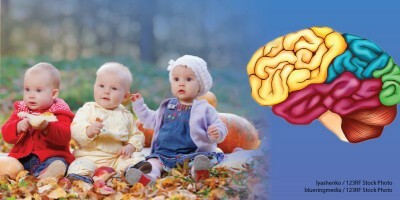 Brain Systems Theory focuses upon biological and environmental influences that promote healthy interconnections throughout the brain, how the interconnections change throughout child development and how the BRAIN LEARNS-CHILDREN LEARN beyond genes, illness or injury. Neuro-Systems Evaluation and Neuro-Systems Treatment, founded upon Systems Biology Theory, have been developed since 1985 by Pediatric Neuropsyschologist, Dr. Val Scaramella Nowinski. Her doctoral work was titled "Systems Analysis-The Cerebral Organization and Psychological Structure of Human Mental Processes". The brain is certainly the most robust of all biological systems. A major property of any robust system is ADAPTATION. Throughout our lives, we try to adapt and cope with environmental changes and internal biological changes. Neuro-Systems Evaluation and Treatment reflect a highly specialized understanding of brain organization, the interrelationship among brain pathways and how these pathways are dependent upon both biological and environmental influences. This type of Brain-Behavior process analysis provides very specific diagnosis and treatment, information that promotes children's brain health, learning and well-being. How can one improve the development of any brain behavior without understanding the dynamic brain processes involved in developing the particular behavior? It would be like tasting a gourmet meal, knowing what the individual component ingredients are, yet not knowing the process and interaction among the ingredients resulting in the meal that tantalizes the palate. To replicate or improve the gourmet dish, we must understand the processes involved. Following formal evaluation, parents meet with the Doctor for an explanation of test results. A Brain-Behavior map is provided that describes brain pathways and behaviors that reflect their child's strengths and difficulties. A written report is also provided that details evaluation results and treatment recommendations. We are happy to consult with your child's health, allied health and education professionals in efforts to promote your child's well being. We encourage environmental wellness and nutrition assessment/treatment that promote both physical and mental health. Questionaires/Checklists are often used in conjunction with formal evaluation. For more information click here. Our interdisciplinary treatment program is founded upon a "WHOLE-CHILD/WHOLE-BRAIN" framework. Treatment programs empower the child's dynamic developing Brain System. Therapeutic programs build connections among brain pathways associated with Attention, Memory, Sensory, Motor, Speech, Language, Mood, Executive Function and Social development to promote children's brain health and well being. Communication among family, health, allied health and education professionals is very important so as to enhance a child's success at home, school and beyond. Following your child's neuropsychological evaluation, you are provided with very specific health, allied health and education direction that promotes your child's brain health, learning and development. We provide specialized treatment programs at our Center. We also provide referrals closer to your home that promote your child's brain health and learning. We provide ongoing consultation regarding your child's progress and believe it is very important to support parents in their journey toward children's health and well being.